Christopher Allen, The Weekend Australian , 'Hard work: A new show reminds us of the limitations of colour-field abstraction', pg. 12-13, Canberra, 17 Oct 2009-18 Oct 2009, 12 (colour illus. ), 13. Focus room ‘Tackling the field’ exhibition review. Donald Brook, The Sydney Morning Herald , 'Roll up roll up! ', pg. 14, Sydney, 22 Feb 1968, 14. 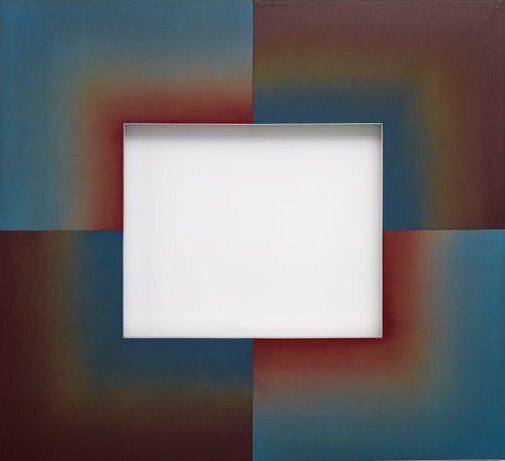 Michael Desmond, Contemporary: Art Gallery of New South Wales Contemporary Collection , 'Abstraction', pg. 16-59, Sydney, 2006, 52, 53 (colour illus.). Charles Green, Fieldwork: Australian art 1968-2002 , 'The discursive field: home is where the heart is', pg. 12-15, Melbourne, 2002, 14 (illus. ), 25 (colour illus.). Illustration on pg. 14 shows installation photograph of entrance to 'The Field' exhibition, 1968, with Paul Partos' 'Vesta II' in the background. Natalie Wilson, Tackling THE FIELD , 'Tackling The Field', pg. 1-29, Sydney, 2009, 8, 17 (colour illus. ), 18. NOTE: This work features in two black and white installation photographs of the NGV 'The Field' exhibition located on page 3.